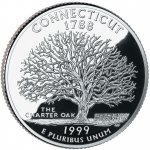 CONNECTICUT (the 5th state, 9 January 1788) — The Constitution State. Capital: Hartford. Connecticut can be found on page 567 in your almanac and on plates 44 and 142 in your atlas. Name origin: “From Mohican and other Algonquin words meaning ‘long river place’” (almanac page 423). State bird: American Robin. Website: portal.ct.gov. ❡ Explore more: If you’re planning a comprehensive unit study of one or more of the U.S. states, be sure to investigate the primary source materials for teachers available from the Library of Congress. And anything you and your students may want to know about state flags, seals, mottos, birds, and much more, can be found at the helpful State Symbols USA website. 🇧🇪 BELGIUM – in Western Europe. Population: 11,491,346. Capital: Brussels. Website: www.belgium.be (in English, French, Dutch, and German). 🇧🇿 BELIZE – in Central America. Population: 360,346. Capital: Belmopan. Website: www.belize.gov.bz (in English). 🇧🇯 BENIN – in West Africa. Population: 11,038,805. Capital(s): Porto-Novo and Cotonou. Website: www.gouv.bj (in French). 🇧🇹 BHUTAN – in South Asia. Population: 758,288. Capital: Thimphu. Website: www.bhutan.gov.bt (in English). These countries all appear in your current almanac, atlas, and history encyclopedia as well. The almanac, for example, has profiles of all the nations of the world on pages 745–852; the endpapers of the atlas are index maps that will show you where each of the individual national and regional maps can be found; the history encyclopedia includes individual national histories on pages 489–599; and you can find additional illustrations, flags, and other mentions through the indexes in each of these volumes. 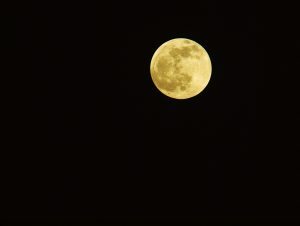 🌖 THE MOON at the beginning of this week is gibbous and waning — a good time for moonwatching and an increasingly good time for stargazing. Track the moon’s phases each month at timeanddate.com/moon/phases, and dial up this week’s constellations with your River Houses star atlas (riverhouses.org/books). 🗓 TODAY (Sunday, 30 September) — Today is the 273rd day of 2018; there are 92 days remaining in the year. Learn more about different kinds of modern and historical calendars on pages 351–357 in your River Houses almanac (riverhouses.org/books). ⬩ Today is the birthday of William Wrigley, Jr. (1861–1932), founder of the Wrigley chewing gum company. ⬩ The Hoover Dam on the Arizona–Nevada border was dedicated on this day in 1935. MONDAY (1 October) — The first Ford Model T automobile was put on sale on this day in 1908. The price was $825. ⬩ The George Washington Bridge linking New York and New Jersey across the Hudson River was opened on this day in 1931. ⬩ Our poem-of-the-week for the first week of October (1–7) is John Keats’ “To Autumn,” perhaps the most famous fall poem in the English language. Print your own River Houses poetry calendar at riverhouses.org/calendars and follow along with us throughout the year. TUESDAY (2 October) — Today is the birthday of Indian lawyer, philosopher, and political leader Mohandas Gandhi (1869–1948). ⬩ It’s also the birthday of American poet Wallace Stevens (1879–1955). ⬩ The comic strip Peanuts premiered on this day in 1950. ⬩ Since this is the first Tuesday of the month, today we’ll invite you to browse a new Dewey Decimal class with your students on your next visit to your local library. This month: Class 000 (General Works). WEDNESDAY (3 October) — Today is the birthday of English veterinarian James Herriot (1916–1995), author of All Creatures Great and Small and other popular books on animals. FRIDAY (5 October) — Today is the birthday of American physicist and engineer Robert Goddard (1882–1945), inventor of the liquid-fueled rocket. ⬩ And speaking of aiming for the stars: since this is the first Friday of the month, we’ll post our regular monthly preview today of some of the astronomical events you and your homeschool students can be on the lookout for over the next few weeks. SATURDAY (6 October) — The American Library Association was founded on this day in 1876. ⬩ It’s also the birthday of Norwegian explorer and ethnographer Thor Heyerdahl (1914–2002). ❡ Toasts are a fun tradition for your family table. We offer one each week — you can take it up, or make up one of your own (“To North American dinosaurs!”), or invite a different person to come up with one for each meal (“To variety in toasting!”). Our current set of toasts are mostly taken from an old anthology called The Pic-Nic, a Collection of Recitations, and Comic Songs, Toasts, Sentiments, &c. (London, 1816). What will you toast this week? 🌎 EVERYTHING FLOWS: Bhutan is one of our countries-of-the-week, so our Weekly World River is the largest river in Bhutan, the Manas River, which crosses the Bhutan–India border. You can chart its course in your River Houses atlas (riverhouses.org/books), and you can read more about it in the Manas River entry in Wikipedia or perhaps on your next visit to your local library. ❡ Let the river run: Why not do a homeschool study of world rivers over the course of the year? Take the one we select each week (above), or start with the river lists in your almanac (pages 691–692), and make it a project to look them all up in your atlas, or in a handy encyclopedia either online or on a weekly visit to your local library. A whole world of geographical learning awaits you. Friday is Natural History Day in the River Houses. As fall advances, there are lots of changes in the natural world that you and your homeschool students can monitor. 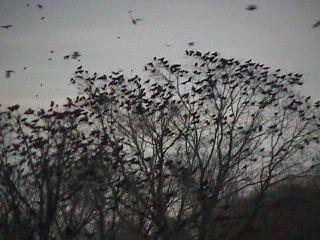 A conspicuous one is the formation of winter crow roosts. During the summer breeding season many birds are territorial and don’t associate together in large numbers. Once the breeding season is over, however, flocking begins, not only in the context of migration (think vees of geese), but also in the context of nightly roosting assemblages. 📍Why do crows congregate in large numbers to sleep? There’s a very large American Crow roost not far from where I live, beside the Nashua River at a spot called Rollstone Hill in central Massachusetts. Every evening now, crows begin to assemble at this location — a few hundred each night this week, and by later in the season, a few thousand. Every morning they disperse again over the landscape, and then every night they return to the roost. There’s probably a crow roost somewhere near your homeschool. If you haven’t come across it yet, it should be easy to find, and tracking it down would be a great homeschool science lesson. Just go outside in the hour or so before dusk and keep an eye on the sky. If you see crows passing overhead, hop in the car and follow them. They’ll lead you right to the roost. What defines the seasons? Is it a change in temperature? Migrating birds? The position of the sun in the sky? An evocation of the air? On green and white serenely thrives. The fields. Flowers flourish everywhere. Proving that autumn gropes for us. Our moods and give them outward forms. We want the certain, solid thing. From evocations in the air. When I said autumn, autumn broke. When you introduce your students to a new poem, especially one like this that appears to be in a traditional form, take your time, and don’t worry about “getting” everything right away. A good poem is a friend for life, and as with any friend, it takes time to get acquainted. Before you even start worrying about “meaning,” take a look at the poem’s structure. How many lines does it have? Are the lines grouped into stanzas? How many lines in each stanza? How many syllables in each line? Many traditional poems are highly structured and fit together in an almost mathematical way, which you can discover by counting. Do the lines rhyme? What is the rhyme-scheme (ABAB, AABA, ABCD, or something else)? By uncovering these details of structure your students will come to appreciate good poems as carefully crafted pieces of literary labor. “Song at the Beginning of Autumn” is a very precisely structured poem. If you count, you’ll find that every line has exactly eight syllables. (That pattern tells you that “flowers” should be pronounced here as a one-syllable word: “flowrs” not “flow-ers.”) Do the lines have a rhyming pattern? Yes they do! The lines of the first stanza end with: arrives–still–air thrives–full–where. We’ll call that ABC ABC, and if you check all the other stanzas you’ll find they’re exactly the same: ABC ABC. If you try to read this poem aloud you’ll discover that it has a kind of prose-y feel — it doesn’t seem very “poetical” at first. What creates that sensation? The prose-y feel comes from Jennings’ deliberate use of enjambment — a wonderful literary word that refers to the mismatch between the line breaks of the poem and the natural grammatical pauses of the poem’s underlying sentences. The opposite of enjambed verse is end-stopped verse, in which the line-ends correspond to natural grammatical breaks: “Whose woods these are I think I know (pause). / His house is in the village though (pause); / He will not see me stopping here (pause) / To watch his woods fill up with snow (pause).” That’s Robert Frost’s “Stopping by Woods,” a heavily end-stopped poem with a sing-song-y feel. Contrast that with Jennings, with natural grammatical pauses added: “Now watch this autumn that arrives / In smells (pause). All looks like summer still (pause); / Colours are quite unchanged (pause), the air / On green and white serenely thrives (pause). / Heavy the trees with growth and full / The fields (pause). 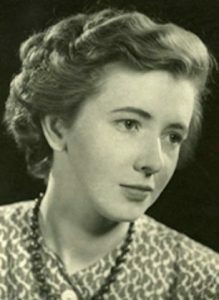 Flowers flourish everywhere (pause).” In her case, many of the natural grammatical pauses don’t coincide with the line-ends — that’s enjambment, and that’s what creates the prose-y feel of the poem. We love libraries in the River Houses, and we’re rather fond of Harry Potter, too, since the River Houses and the Hogwarts Houses have a lot in common. 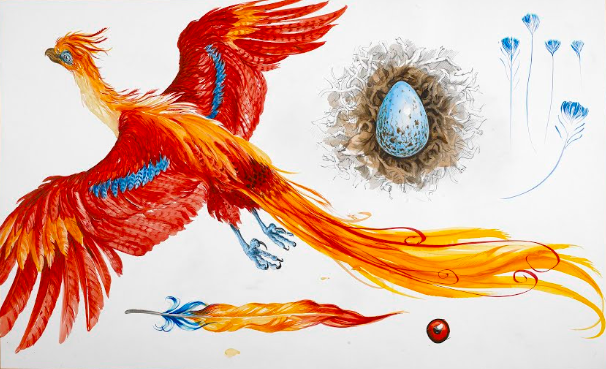 This online exhibit is sponsored by the Google Arts & Culture website, and it features a history of the Harry Potter series, beautiful images of Potter manuscripts and sources, original artwork samples, stories of magical cats and owls, and even an assortment of medieval manuscripts on magic from an age when many people believed potions and spells ruled the world (instead of just our imaginations). Tonight (24 September) is the night of the full moon, and that means it’s time for a report from the Lunar Society of the River Houses. 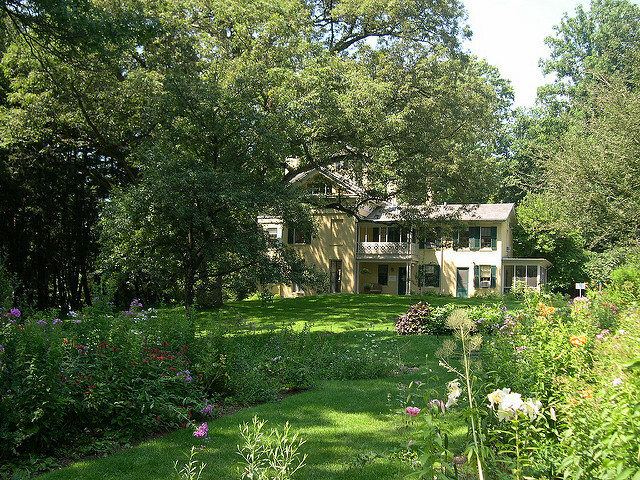 The Internet provides exceptional opportunities for homeschool students to participate in real research projects in a variety of fields, and the Lunar Society is another big and wonderful River Houses plan to help bring those students together. Instead of leaving students to work in isolation from other homeschoolers, the Lunar Society will encourage them to join online research projects and share their accomplishments with other members of the River Houses every month (on you-know-what-day). 📍eBird (ebird.org) — A project to map bird observations in your backyard and around the world. 📍Einstein@Home (einsteinathome.org) — A project to search for gravitational waves and pulsars in deep space. 📍American Meteor Society Fireball Reports (amsmeteors.org) — A project to track fireballs (exceptionally bright meteors) and to help determine their speed, direction, and possible areas of impact. Of these four initial projects, eBird is active and suitable for people of all ages — even small children can join in a count of birds at a backyard feeder. The second two are more advanced, suitable for high school students interested in computers, science, and astronomy (and their parents, too), but these projects are also more passive and simply involve having your computer do calculations in the background. The final project, on fireballs, is very interesting, but it’s also quite unpredictable, since there’s no way you can guarantee making a successful observation yourself (although there are ways to increase your chances with special equipment). On eBird.org I have been documenting the birds of a local riverside park for most of the year (ebird.org/hotspot/L6926932), and have so far recorded 67 species with daily observations. It’s very easy to see differences in abundance and migration patterns, and this collection of local observations helps to build up a more detailed picture of bird populations in my region and state as a whole. The Einstein@Home project also uses my computer to process astronomical data, and so far it has completed 4533 “credits” of data analysis. I’ve set up a placeholder for a future River Houses team on Einstein@Home also (with 2079 credits of data analyzed so far). My American Meteor Society page includes two fireball reports, one that was traced to an object that entered the atmosphere over eastern New York state (273-2018), and another that was traced to an object that traveled west over southern New Hampshire (4563-2017). You and your homseschoolers can independently join any of these projects today, if you wish — no need to wait for any special River Houses affiliation. 📍iNaturalist (inaturalist.org) — Similar to eBird.org, but encompassing all of natural history. 📍Wikimedia Commons Photo Challenge — Do you have a budding photographer in your homeschool? The Wikimedia Foundation (sponsors of Wikipedia) has a monthly photography contest to encourage people to produce freely available images on a variety of themes that will help to improve Wikipedia. 📍Zooniverse (zooniverse.org) — The big clearinghouse for “citizen science,” with dozens of research projects available in many different fields. This may be best place to explore if you want to find a new homeschool project to take up. Take a look at these and see if any of them catch your interest and the interest of your students. What does this have to do with the full moon? Well, there was a famous science-and-technology club in England in the late 1700s and early 1800s called the Lunar Society of Birmingham (because they met each month around the time of the full moon). They discussed current scientific developments, shared new research results, talked about new inventions, and generally had a grand old time. ❡ The friends who made the future: The group History West Midlands has put together a nice little video about the original Lunar Society of Birmingham — take a look and see where we got our name. 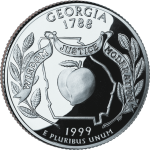 GEORGIA (the 4th state, 2 January 1788) — The Peach State. Capital: Atlanta. Georgia can be found on page 569 in your almanac and on plates 42 and 142 in your atlas. Name origin: “Named by colonial administrator James Oglethorp for King George II of England in 1732” (almanac page 423). State bird: Brown Thrasher. Website: georgia.gov. 🇧🇭 BAHRAIN – in the Middle East. Population: 1,410,942. Capital: Manama. Website: www.bahrain.bh (in Arabic and English). 🇧🇩 BANGLADESH – in South Asia. Population: 157,826,578. Capital: Dhaka. Website: www.bangladesh.gov.bd (in Bengali and English). 🇧🇧 BARBADOS – in the West Indies. Population: 292,336. Capital: Bridgetown. Website: www.gov.bb (in English). 🇧🇾 BELARUS – in Eastern Europe. Population: 9,549,747. Capital: Minsk. Website: www.president.gov.by (in Belarusian, Russian, and English). Quick Freshes are our regular Sunday notes on the homeschool week ahead. Pick one or two (or more) of the items below each week and use them to enrich your homeschooling schedule! Print your own River Houses Calendar for the whole year at riverhouses.org/calendars. 🌔 THE MOON at the beginning of this week is gibbous and waxing, heading toward full on the 24th. Track the moon’s phases each month at timeanddate.com/moon/phases, and dial up this week’s constellations with your River Houses star atlas (riverhouses.org/books). 🗓 TODAY (Sunday, 23 September) — Today is the 266th day of 2018; there are 99 days remaining in the year. Learn more about different kinds of modern and historical calendars on pages 351–357 in your River Houses almanac (riverhouses.org/books). ⬩ Today is also the birthday of Gaius Octavius Thurinus, better known as Caesar Augustus, first emperor of the Roman Empire (63 B.C. – A.D. 14). MONDAY (24 September) — On this day in 1789, the U.S. Congress, acting under the new Constitution, established the federal judiciary system and the specified a structure for the Supreme Court (with six, not the current nine, justices). ⬩ And … it’s National Punctuation Day!!(!*!)!! TUESDAY (25 September) — Today is the birthday of the great American geneticist and Nobel Prize laureate Thomas Hunt Morgan (1866–1945), who established the role of chromosomes in the process of inheritance. ⬩ It’s also the birthday of American poet and children’s author Shel Silverstein (1930–1999). ⬩ And the great Canadian classical pianist Glenn Gould was born on this day in 1932. WEDNESDAY (26 September) — On this day in 1687, during the Venetian siege of Athens, a bomb fell on the Parthenon, which was being used by the Ottoman Turks for munitions storage. The roof, parts of the frieze, and many of the columns, which had stood for more than two thousand years, were destroyed. ⬩ Today is the birthday of American nurseryman and folk hero John Chapman (1774–1845), better known as Johnny Appleseed. ⬩ It’s also the birthday of American poet and Nobel Prize laureate T.S. Eliot (1888–1965), author of (among other things) Old Possum’s Book of Practical Cats, a wonderful read-aloud book for children. THURSDAY (27 September) — On this day in 1941, the S.S. Patrick Henry, the first of a fleet of nearly 3000 “Liberty Ships” that transported supplies and troops during World War II, was launched in Baltimore, Maryland. FRIDAY (28 September) — On this day in 1066, William II, Duke of Normandy, landed at Pevensey in Sussex and commenced the Norman conquest of England. ⬩ On this day in 1928, Scottish microbiologist Alexander Fleming noticed that mold growing on some of his laboratory samples was killing colonies of bacteria. The result of this chance observation was the discovery of the first antibiotic, penicillin. SATURDAY (29 September) — Today is the birthday of the great Spanish writer Miguel de Cervantes (1547–1616). ⬩ It’s also the birthday of the pioneering Austrian-American economic philosopher Ludwig von Mises (1881–1973). 🌎 EVERYTHING FLOWS: Bangladesh is one of our countries-of-the-week, so our Weekly World River is the Meghna River, one of the principal contributing rivers of the Ganges Delta. You can chart its course in your River Houses atlas (riverhouses.org/books), and you can read more about it in the comprehensive Meghna River entry in Wikipedia, or perhaps on your next visit to your local library. 🏞 NATURE NOTES: Fall Bird Migration is Underway! 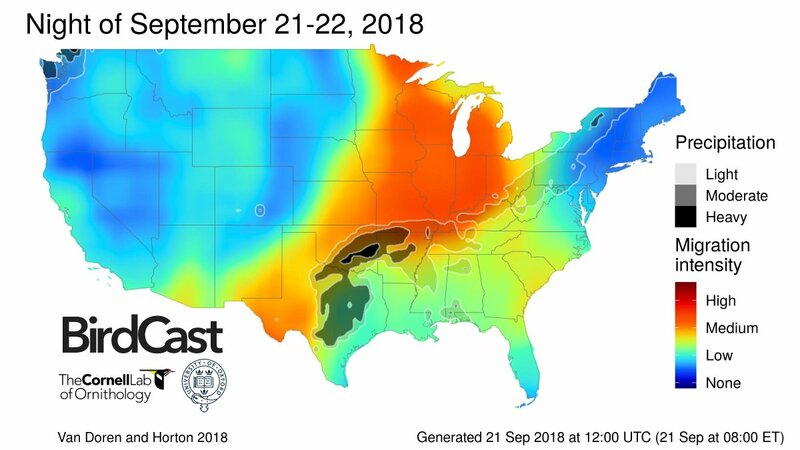 The fall bird migration is well underway across much of the United States, and to give your students a window into what’s happening why not spend a few minutes with them exploring the wonderful birdcast.info website sponsored by Cornell University. Birdcast.info will help you and your students connect what you see in your local neighborhood with the grand pattern of migration that is taking place across the whole continent. As summer comes to its end, Emily Dickinson provides us with a homeschool read-aloud poem for the week. If your students are learning how to read poetry — and poetry requires a special kind of reading, different from prose reading — tell them not to read too quickly or expect everything to be clear on the first pass through. Getting to know a poem is like getting to know a person: some things are apparent on the surface, but there are new things to discover over time with repeated engagement. If you make the effort you’ll often discover that good poems, like good people, can become friends for life. For traditionally styled poems like this one, the first thing to do as you make the poem’s acquaintance is not to think about meaning or abstract symbolism; instead, just count syllables. As imperceptibly as Grief (eight). The Summer lapsed away (six). Too imperceptible at last (eight). To seem like Perfidy (six). 8-6-8-6. The other three stanzas are a shortened version of this: 6-6-8-6. A perfect match (8-6-8-6). Whenever you encounter Emily Dickinson in your homeschool reading — and I hope that will be often — start by counting syllables and you’ll gain a new appreciation for the details of her craft. Tuesday is Library Day in the River Houses, and this Tuesday also happens to be the birthday of “Dr. Johnson” — Samuel Johnson, that is, the great English author and lexicographer (1709–1784). (“Oooh, ‘lexicographer’ is a beautiful word — let’s look it up in our lexicon.”) (“Oooh, ‘lexicon’ is a beautiful word — let’s look it up in our dictionary.”) Dr. Johnson’s birthday is just the right day for some homeschool lessons about dictionaries. Dr. Johnson in his element. Every homeschool should have several dictionaries — simple picture dictionaries for small children, intermediate dictionaries for tweenagers, and big unabridged dictionaries for teens and mom and dad. The big family dictionary we recommend is the American Heritage Dictionary (riverhouses.org/books), but many other good choices are also available, and the place you and your students should investigate them is your local library. On your next library visit, take your students to the dictionary section (usually Dewey Decimal 403, 413, 423, etc., perhaps in the non-circulating Reference area) and show them the wide range of different types of dictionaries that exist. If they’re used to just one dictionary at home, this should be an eye-opening experience. You’ll find pocket-sized dictionaries and multi-volume monsters. (The 20-volume Oxford English Dictionary is one of the most wonderful books in the world.) Show them bilingual and monolingual dictionaries in French, Spanish, German, Greek, and whatever other languages you can find. Look for some speciality dictionaries as well: science dictionaries, law dictionaries, medical dictionaries, and more. You might even find a modern reprint of Dr. Johnson’s great Dictionary of the English Language (1755), one of history’s most famous books. 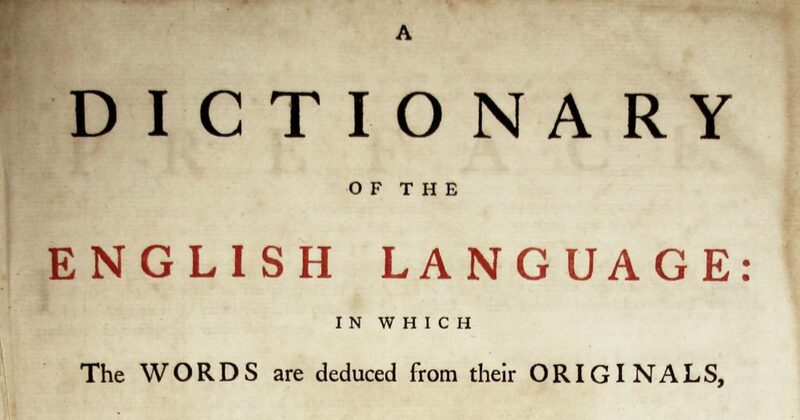 A Dictionary of the English Language by Samuel Johnson, 1755. Today is Constitution Day! (Or more officially, Constitution Day and Citizenship Day, as enacted by Congress in 2004.) On this day in 1787, the Constitutional Convention in Philadelphia approved the U.S. Constitution and sent it to the states for ratification. Update: The Library of Congress also has a great teacher’s guide to the Constitution. 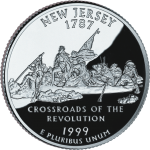 NEW JERSEY (the 3rd state, 18 December 1787) — The Garden State. Capital: Trenton. New Jersey can be found on page 580 in your almanac and on plates 43 and 142 in your atlas. Name origin: “The Duke of York, in 1664, gave a patent to Lord John Berkeley and Sir George Carteret for Nova Caesaria, or New Jersey, after England’s Isle of Jersey” (almanac page 423). State bird: American Goldfinch. Website: nj.gov. 🇦🇺 AUSTRALIA – between the southwestern Pacific and Indian Oceans. Population: 23,232,413. Capital: Canberra. Website: www.australia.gov.au (in English). 🇦🇹 AUSTRIA – in south-central Europe. Population: 8,754,413. Capital: Vienna. Website: www.austria.gv.at (in German and English). 🇦🇿 AZERBAIJAN – in southwestern Asia. Population: 9,961,396. Capital: Baku. Website: www.president.az (in Azerbaijani, Russian, and English). 🇧🇸 THE BAHAMAS – in the Atlantic Ocean off the coast of Florida. Population: 329,988. Capital: Nassau. Website: www.bahamas.gov.bs (in English). ❡ Did you know…? You can teach a hundred little lessons with our “Quick Freshes” posts each week just by dropping questions into your daily conversations with your students and inviting them to discover more. Pick a name, a place, a date, or an event that catches your interest, and send them to your reference library (riverhouses.org/books), the Internet, or your local public library to explore and learn. 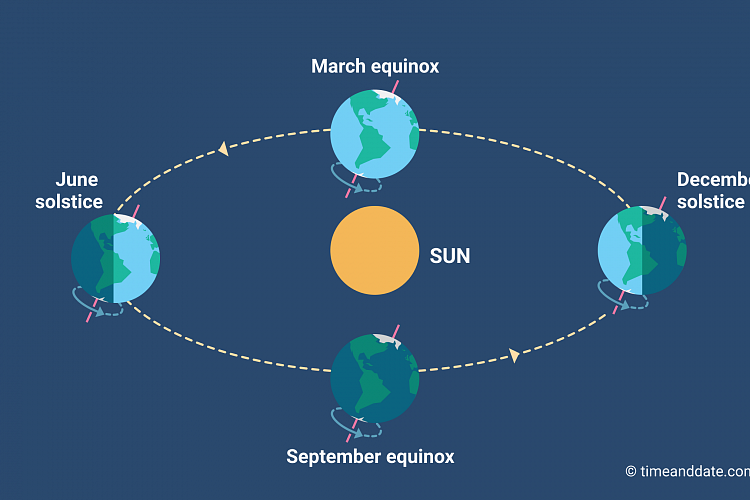 🌓 THE MOON at the beginning of this week is has just reached its first quarter — a good time for moonwatching with a pair of binoculars or a small telescope. Track the moon’s phases each month at timeanddate.com/moon/phases, and dial up this week’s constellations with your River Houses star atlas (riverhouses.org/books). 🗓 TODAY (Sunday, 16 September) — Today is the 259th day of 2018; there are 106 days remaining in the year. Learn more about different kinds of modern and historical calendars on pages 351–357 in your River Houses almanac (riverhouses.org/books). ⬩ On this day in 1776, with George Washington in direct command, the Continental Army in New York successfully defended several key positions on Manhattan Island in the Battle of Harlem Heights. MONDAY (17 September) — Today is Constitution Day! On this day in 1787, the U.S. Constitution was signed in Philadelphia by the members of the Constitutional Convention. Why not pay a homeschool visit to the original Constitution today at its current home in the National Archives. ⬩ Today is also the anniversary of the Battle of Antietam in 1862, one of the bloodiest days in American history, with more than 22,000 Union and Confederate casualties. 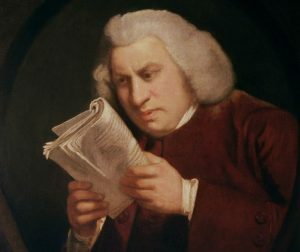 TUESDAY (18 September) — Today is the birthday of the great English writer and lexicographer Samuel Johnson (1709–1784). ⬩ On this day in 1793, President George Washington, dressed in his masonic regalia, laid the cornerstone of the U.S. Capitol Building. WEDNESDAY (19 September) — Arrrr! It’s International Talk-Like-a-Pirate Day, me hearties! ⬩ On this day in 1991, “Ötzi the Iceman,” a 5000-year-old naturally preserved mummy, was discovered frozen in the ice along the Alpine border between Italy and Austria. THURSDAY (20 September) — On this day in 1519, Ferdinand Magellan set sail from the coast of southern Spain with five ships and 270 men in the first expedition to successfully circumnavigate the globe. FRIDAY (21 September) — Today is the birthday of the great English composer Gustav Holst (1874–1934). ⬩ On this day in 1981, Sandra Day O’Connor was unanimously approved by the U.S. Senate as the first female Supreme Court justice. SATURDAY (22 September) — On this day in 1776, American spy Nathan Hale, age 21, was executed by the British in New York City. His final words were said to be, “I regret I have but one life to lose for my country.” ⬩ The first issue of National Geographic Magazine was published on this day in 1888. ⬩ Today is also the birthday of the great experimental physicist Michael Faraday (1791–1867). ⬩ And … it’s Hobbit Day! 🌎 EVERYTHING FLOWS: Australia is one of our countries-of-the-week, so our Weekly World River is the Murray River, Australia’s longest. You can chart its course in your River Houses atlas (riverhouses.org/books), and you can read much more about it in the comprehensive Murray River entry in Wikipedia, or perhaps on your next visit to your local library.